Some seasonally spooky examples of the Google+ ‘Halloweenify’ effect (part of Google’s ‘Auto Aweswome’ enhancements as featured in my recent post), if there are faces in the photo that the software can detect they’ll get an undead makeover (or something less scary if you choose the ‘fun effect’), if it can’t recognise a face your image will be transformed into a ghostly scene. 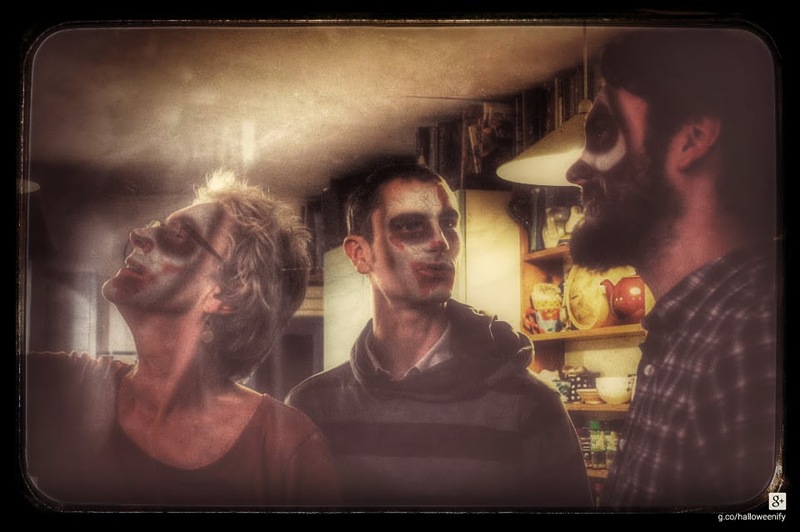 If you want to achieve the same silliness all you need to do is have a Google+ account, go to Photos and over the next few days the banner along the top of the page offers you the chance to Halloweenify your photos with either a ‘spooky’ or ‘fun’ effect. You can select a photo (just one at a time) you already have on Google+ Photos or upload from your computer and you’ll be provided, at random, with either a ghoullish giff or a jittery jpg – time to scare the family witless! This entry was posted in Photo notes, Ways of looking and tagged face recognition, Google+, Halloween. Bookmark the permalink.